I read Siddhartha when I was a teenager and it was pretty formative for me. I also read Demian but don't remember as much about it. I tried reading Steppenwolf several times but it wasn't till I was older that I finished it. I guess I kind of felt I was over Hesse by now, but my wife recommended this one strongly. I'm glad she did. 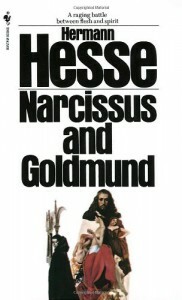 Hesse can be a bit heavy handed with his theories and in some ways the story is very directly an allegory for spiritual paths. Still, it's enjoyably done and thought provoking throughout. I've been thinking about art and spirituality myself lately so this kind of hit the spot.